My name is Amanda Smith and I am a Physician Assistant student from Chatham University in Pittsburgh, PA. My experience at S’eclairer has been nothing but positive. 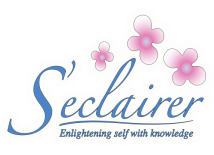 The providers and staff at S’eclairer strive to live and lead by example for their patients, setting an exemplary model for all who enter their doors. Dr. Chaudhary and the staff at S’eclairer have shown me the importance of taking care of one’s own mind, body, and soul to enable them to care for others. I believe that the tools and knowledge I have gained from my experience here will allow me to be a better provider.